Wat is dit voor site? Wij zoeken de goedkoopste boeken op internet. 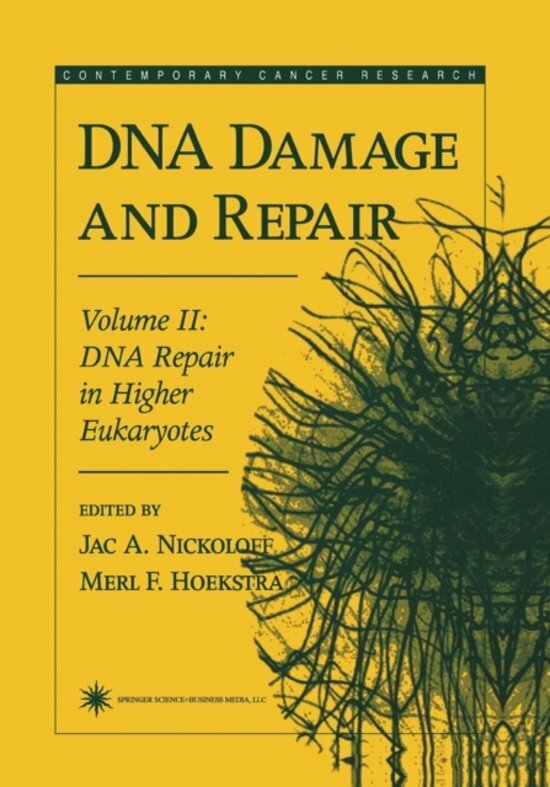 DNA Damage and Repairvonden we het goedkoopst op Bol.com voor €141.99. We hebben gezocht in nieuwe en tweedehands boeken. Rechtsonderaan de pagina kan je het boek direct bestellen	via Bol	.com. Cutting edge reviews by leading researchers illuminate key aspects of DNA repair in mammalian systems and its relationship to human genetic disease and cancer. Major topics include UV and X-Ray repair, repair of chemical damage, recombinational repair, mismatch repair, transcription-repair coupling, and the role of DNA repair in disease prevention. Extensive up-to-date references and rigorous peer-review of each chapter make this volume definitive and bring it to the active frontiers of research.